Using just the two left and right arrow keys, control the weather on your very own world in an attempt to create new life! 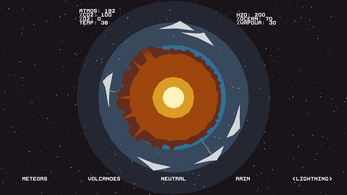 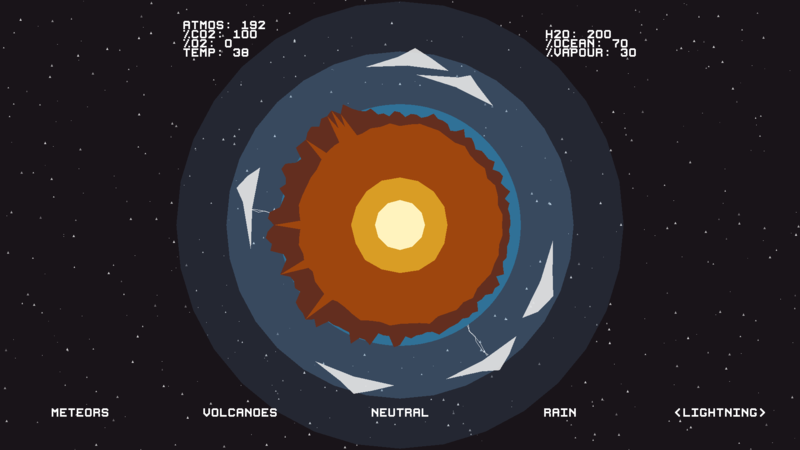 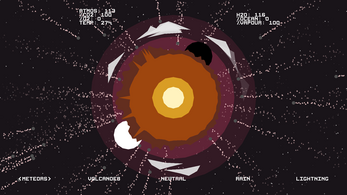 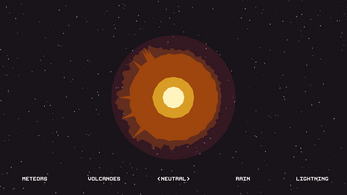 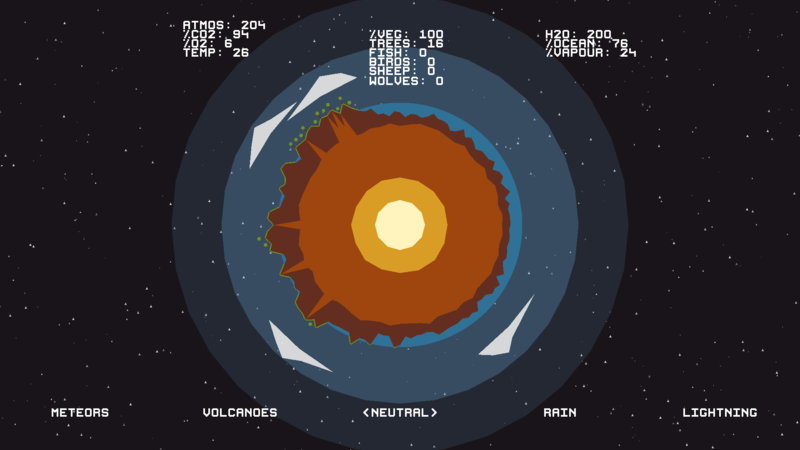 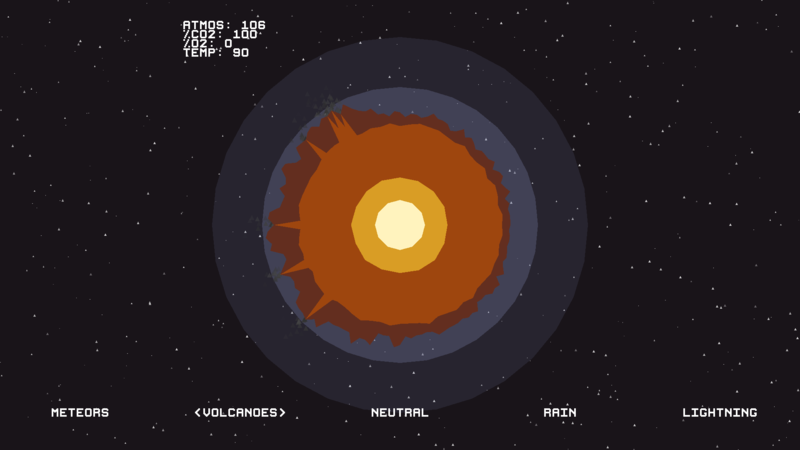 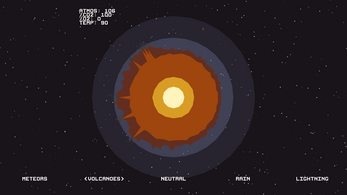 Combine meteor showers with lightning and volcanic eruptions to nurture or destroy your randomly generated world as you choose... On this world, you are the god. Post jam version of my LD24 game. Features music by Erandi Huipe! 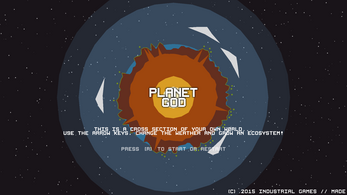 Download the appropriate Jar/EXE for your platform and double click to run!